I have counted all my inventory at year end and reviewed the volume of sales for each item. Some products, cool and well-made as they are, do not sell well. Good business practice tells me that they must go and be replaced with more popular items. If people want these in the future, I may be able to special order them again, but in the meantime-- here's your chance for a super deal! 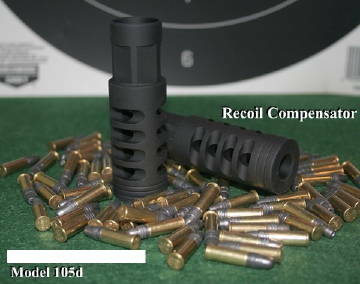 The JP original Recoil Eliminator will always be the benchmark for compensator performance. Every new comp design they develop strives to measure up while keeping a slimmer profile. 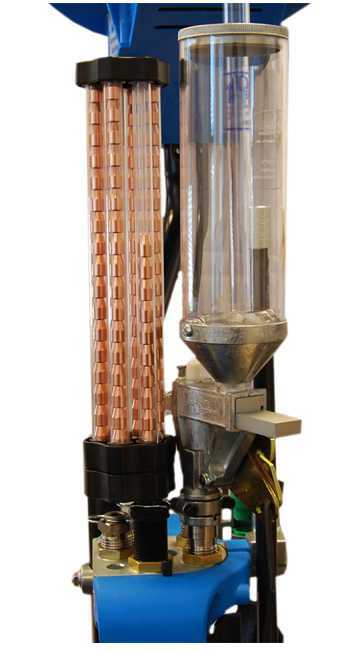 The Mini Mr. Bulletfeeder uses a 6-tube magazine system to hold roughly 100 bullets and fits into the brilliantly reliable bullet dropper die assembly used on the Mr. Bulletfeeder. The Mini Mr. BF is a pleasure to use but substantially less than a full unit while still increasing reloading speed and decreasing handle pulling time. This gives you more time to be at the range pulling the trigger(pressing actually but that is another article). Each tube must be filled by hand but it prevents you having to put your fingers under the press when seating a bullet and crushing your pinky. 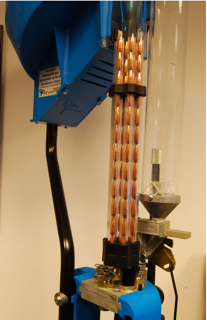 Once a tube is empty simply rotate to the next and so on until empty. Fill 'em up and keep crankin' the handle! In case 7 holes is not enough. 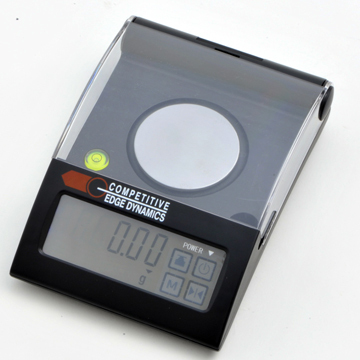 The CED Professional scale provides a wide range of units of weight, accuracy, fast response time, and is easy to use. This precision instrument not only measures up to 3,000 grains at 0.10 increments, a first in the shooting industry, but it also provides measurement in gram, ounce, troy ounce, carat, and pennyweight as well. Finally, a truly universal electronic scale designed for the professional in us all! 128.0 pennyweight / 0.002 dwt. 7.0 ounce / 0.01 oz. 6.4 troy ounce / 0.01 ozt. Always on the outlook for better products for my clients, I have now added a more improved electronic hearing protector. If you haven't had a pair of e-muffs before, you owe it to yourself to give them a try. These units are smaller and have STEREO sound adjustments. As well, they come in four colours to coordinate so we not only shoot good but we look good:) I'll be wearing the red ones, of course. When worn properly and given adequate care, this sound muffler provides excellent protection by filtering out high frequency noise caused by machinery, motors, saws and gunfire. These specially designed over-ear hearing protectors not only protect your hearing but also allow you to hear normal conversation, range commands, and even the sound of game in the woods. The SR112 features an electronic amplification mechanism that clarifies low pitch sounds, but shuts down within milliseconds when sounds above 85dB occur. 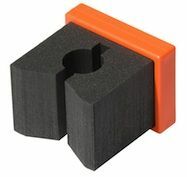 For those of you who need good protection but don't want electronic hearing protectors, try these. They are slim line the same as the electronic but without the hardware. The price is very attractive and these units will give many years of valuable use. I have always wanted to have available not just the standard handgun cases such as the fine products from CED but also I felt MY guns needed the best protection possible. Americase exceeds the federal standards for storage or transportation (and remember, just having a zippered case will never do -- ask a judge). The goal is to have a case I can send on an airplane and expect it to arrive at the other end in the same condition it left. Besides, my guns are important tools for me and are not worth having if damaged. 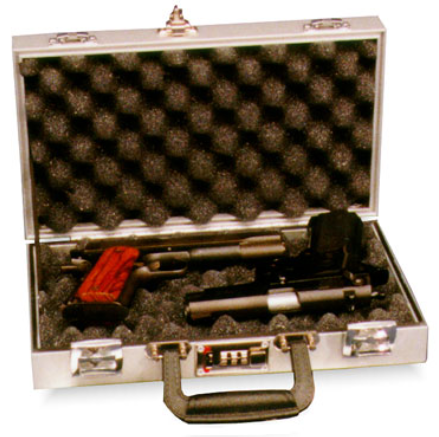 This premium case is made for either one or two 6" handguns in with some masterful planning. The interior is filled with egg crate foam and comes with one combination lock. I have had the standard #507 modified a bit larger to have inside measurements of 13.25"x8.75"x3" and ships at 5 pounds. Nothing is too good for your, and my, handguns. This is THE Open gun case you were trying to find! The Port-A-Stand™ sets up in just seconds! Just spread the feet, place on ground, and insert the target frame. There are no parts to assemble ... or lose. When done shooting, it quickly folds for easy transport and storage. You can even hang it on the wall using one of the stake holes! Port-A-Stand™ accepts 1"x2" furring strips and can be used with any 18" width targets including USPSA, IPSC, IDPA and NRA D-1 targets. 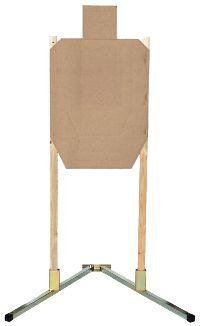 You can also use any plain cardboard as a backing and then tape any type or size paper target to the face. 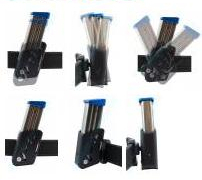 Port-A-Stand™ ‘H’ accepts 1"x2" furring strips and can be used with any 18" width targets including IPSC, USPSA, IDPA and NRA D-1 targets. You can also use any plain cardboard as a backing and then tape any type or size paper target to the face. 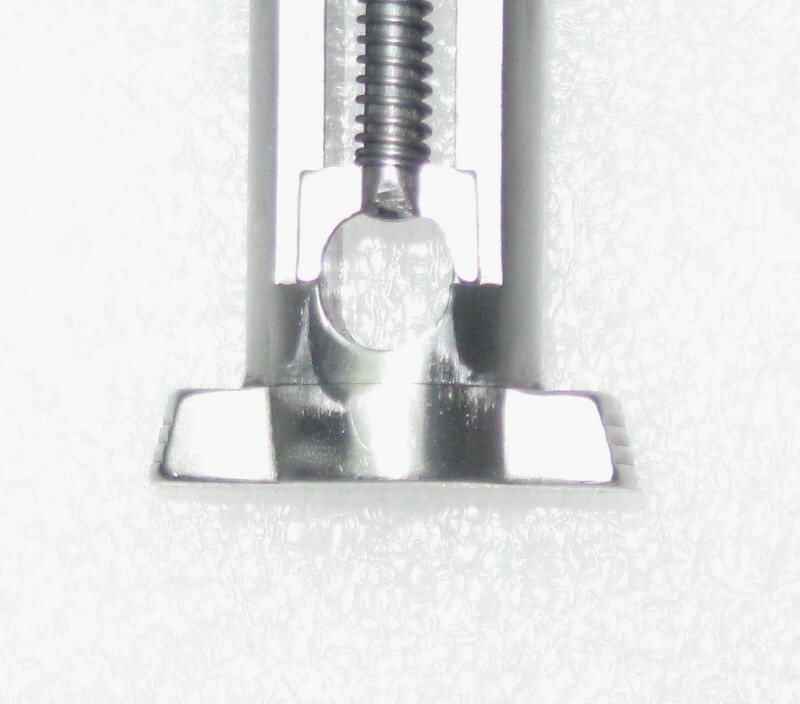 Type 2 Large Dovetail 1 1/4"
Type 3 Small Dovetail 1 1/16"
The Bolt Racker allows for effortless cocking of your pistol. 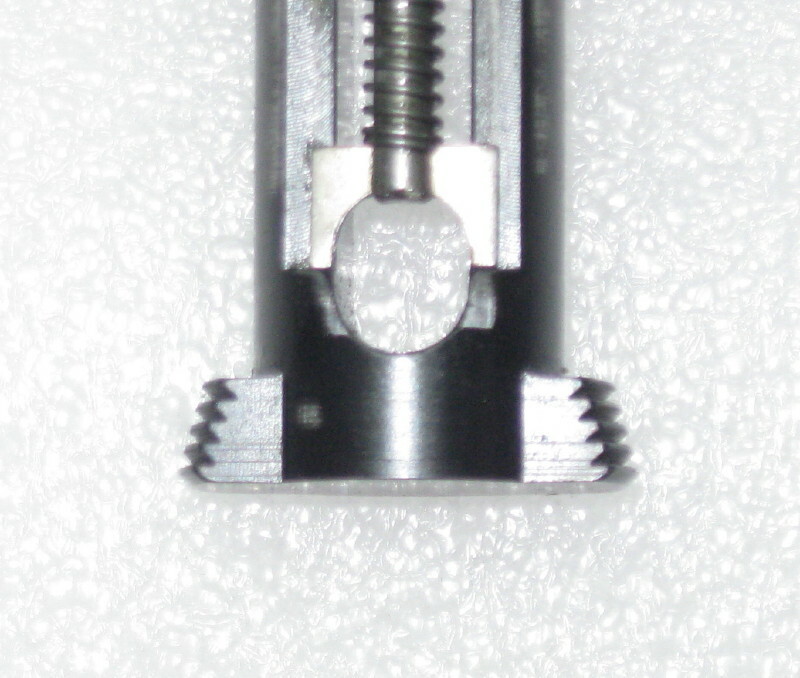 This handy tool removes the firing pin stop and then safely replaces it in 1911's and 1911 clones. Made from nylon it is oil and solvent resistant. The interior of the tool also is a handy bushing removal tool. Fits both standard bushings and commander style. There is a nifty magnet that holds the plate so you don't have to worrying about dropping and losing it, very convenient. Tired of constantly cleaning the front of your C-More? For all the Open Division shooters, this is a must have item. Similar items sell for around $100, but this Canadian product sells for $45 and is extremely well made. 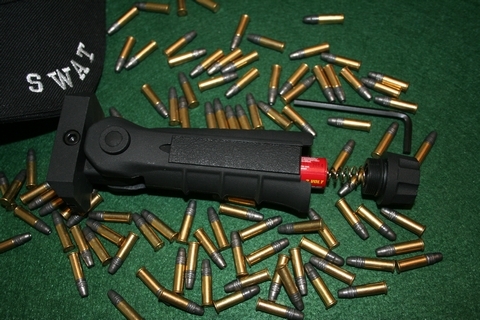 Once you have completed the easy installation, you will find that the muzzle blast from your comp no longer messes up your sight picture. 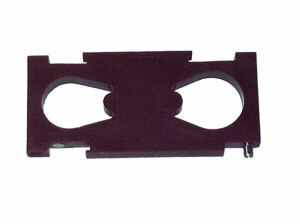 The constant cleaning of the front lens becomes a simpler process and needs to be done less often. The MAGnet Gun Caddy™ is a portable magnetic gun rack. 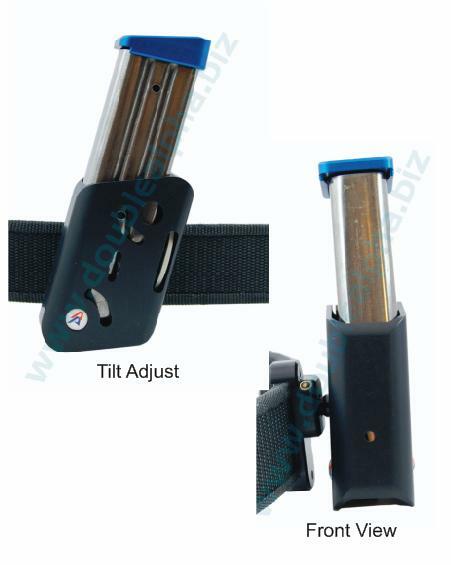 It conveniently secures your gun when you need to temporarily set it down. 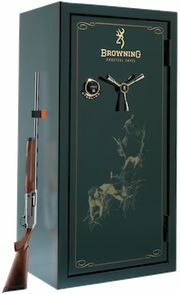 It holds just about any long barrel gun upright against your vehicle, gun safe, or any metal surface. 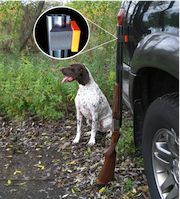 The patented design makes it easy to secure and remove your gun from the holder with just one hand. * And the soft foam material won't scratch the barrel finish. Also works with Fishing Poles! A MAGnet Gun Caddy™ on the outside of your gun safe is also very handy. It provides a place to stage a gun while opening or closing the safe! The cordless vault light can be easily installed to provide illumination inside any vault. 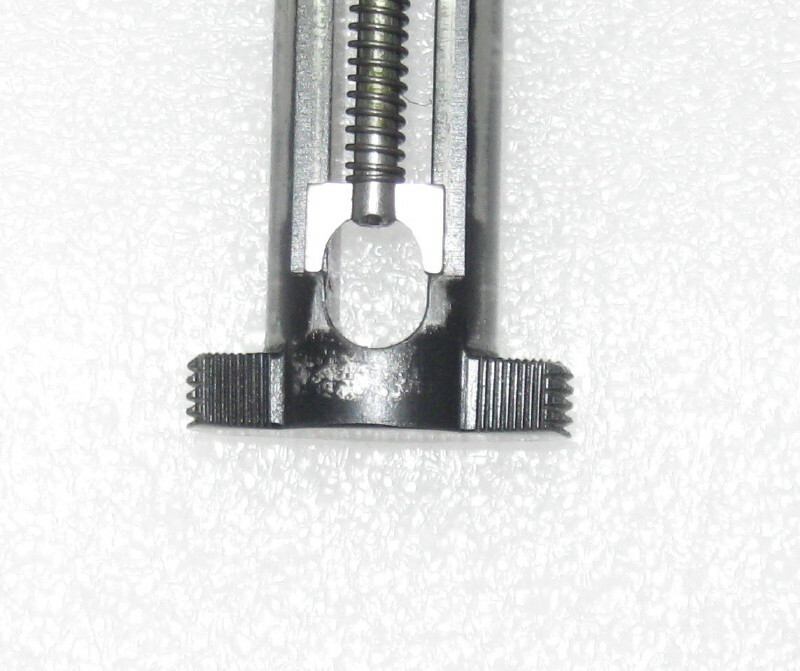 Ruger SR-22 Top Rail, eleven and five eighths (11 5/8) inches long, with five (5) screws, and a hex wrench. It extends from the existing Picatinny rail on the SR-22 rifles to 1 1/4 inches past the forearm. 9" Long. Has the hole in the E-Tac rail for the sling swivel stud. Included with each rail will be 4 screws. 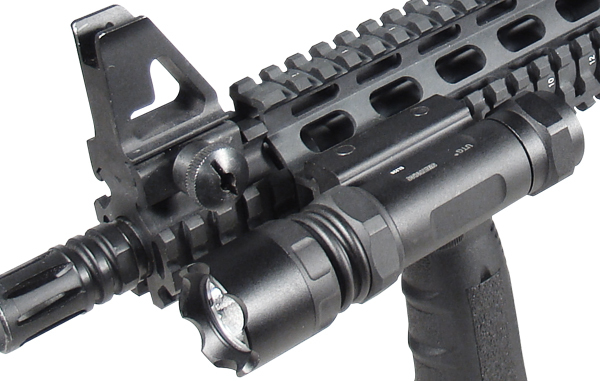 UTG Tri-Rail See-Thru Riser Mount with Picatinny Rails for flashlight, laser and additional accessory application. 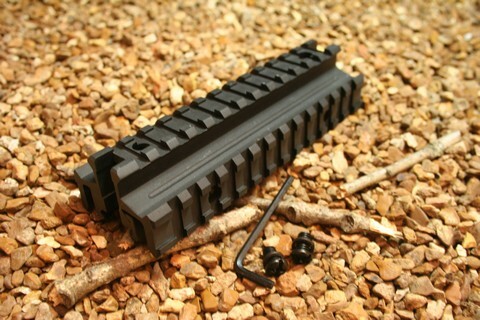 Comes with Mounting base and Locking plate to fit on any E-Tac, Picatinny or Weaver Rail. Additional STANAG dimension of STANAG scopes.Ideal height, length and spacing to accommodate most versatile applications. Will fit on a variety of rifles. 9" Long. Does not have the hole in the E-Tac rail for the sling swivel stud. This one can be used on the sides and the top of the forearm. Included with each rail will be 4 screws. • Center Height Adjustable from 6.1" to 7.9"
• Leg Length Extendable from 5.5" to 7.4"
• SWAT Hat, batteries and bullets not included! 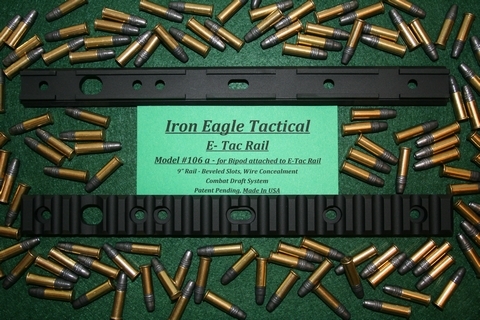 • Will fit on any rifle that has a E-Tac, Picatinny, or Weaver rail system under the forearm. 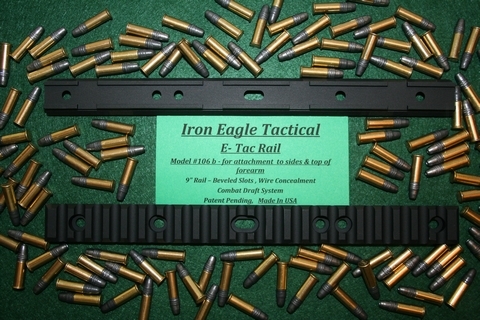 • Will fit on any rifle that has a E-Tac, Picatinny, or Weaver rail system. 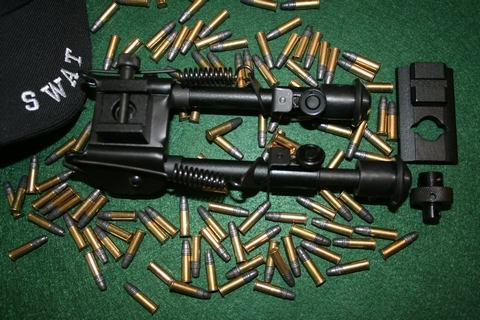 All models fit Rifles of the following caliber: 22, 223, 556 NATO, .308, 7.62mm NATO, and the AK-47 Pistol. All Eagle Talons are thread size = 1/2"-28 right-handed threads. Be sure that you check your thread pattern before you order. 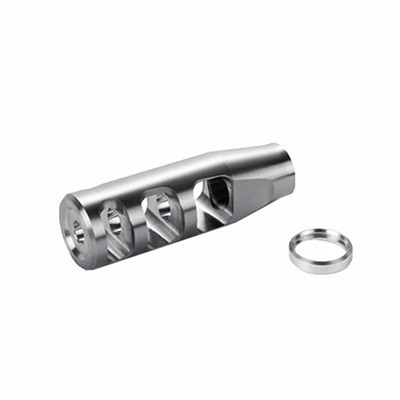 All Eagle Talons are constructed of 6061 T6 aluminum & have type 3 anodization. 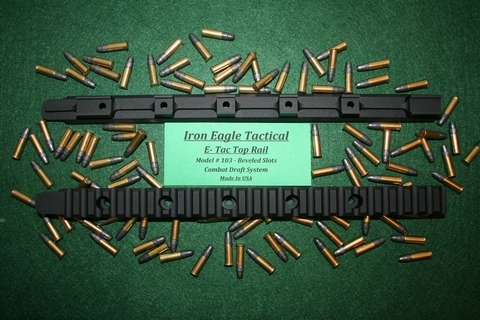 Eagle Talons conceal the threaded area of the barrel and give a cleaner, more combat ready look to the rifle barrel. The purchaser assumes total responsibility for any damage caused to any property or customer’s rifle, due to the installation or use of this product. No more guesswork, when you're looking through this high- performance Scope. The Images are SHARP and CLEAR, even in dim light. 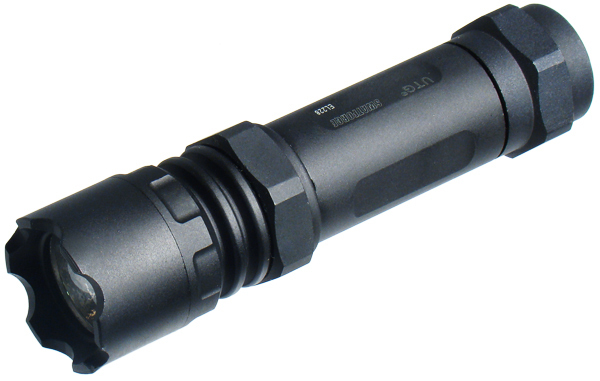 A 7-position rheostat for reticle brightness control, makes it the perfect feature to have in the early morning or toward evening when there's low light out there. 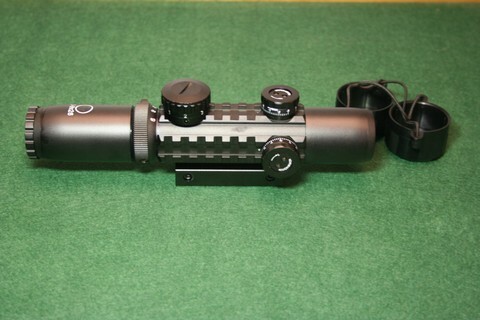 You will like the performance of this scope. • Weight 14.4 OZ, Length 8.15"
Also included, but not shown is a riser block. 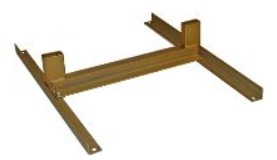 Note: We recommend using the Model # 108b,108c,108d, or 108f 1" Riser Mount to attain comfortable height for shooting.. WARNING: Follow battery safety procedures when you use your light or laser. Leaving operating lights in gun cases or any areas with minimal heat dissipation will cause overheating and battery explosion. Always make sure your light is off and will not be accidentally turned on during storage or transportation. 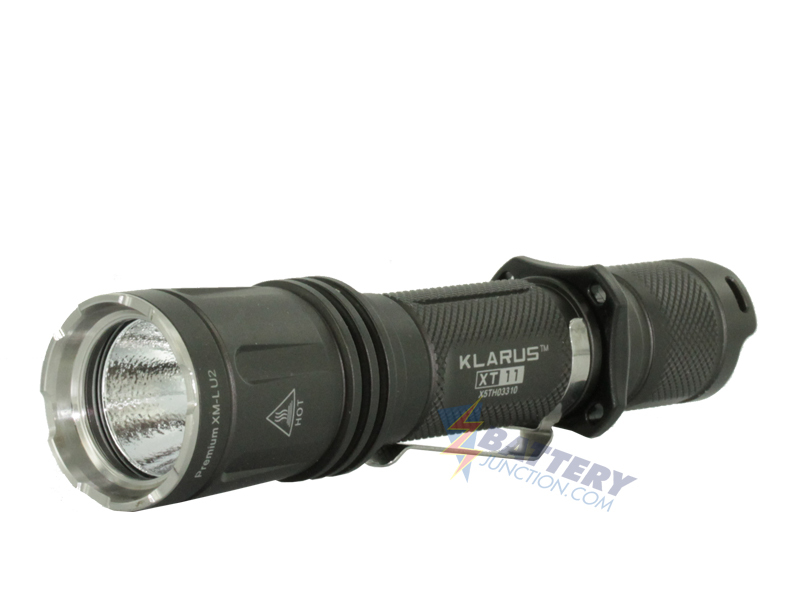 Klarus XT11 LED Flashlight with CREE XM-L U2 LED 600 lumens - Military Grey Finish- Uses 2 x CR123A. Includes holster, lanyard, body clip, tactical ring, and two spare O-rings. 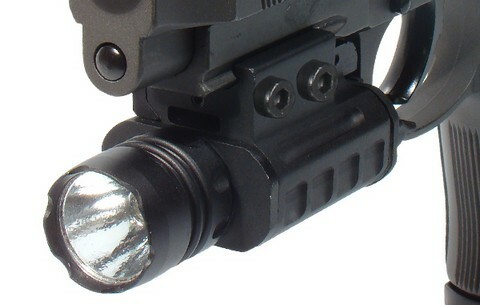 This durable metal mount snugly fits Klarus's most tactical lights for mounting capabilities. 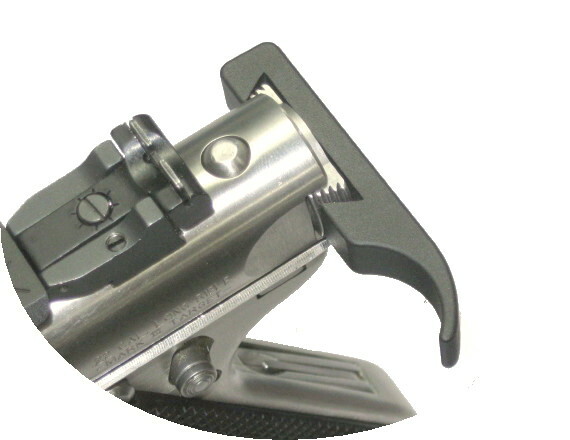 Install by removing the flashlight's tailcap and sliding the light through the mount. Clamps on top of the mount will fit any standard Picatinny rail. 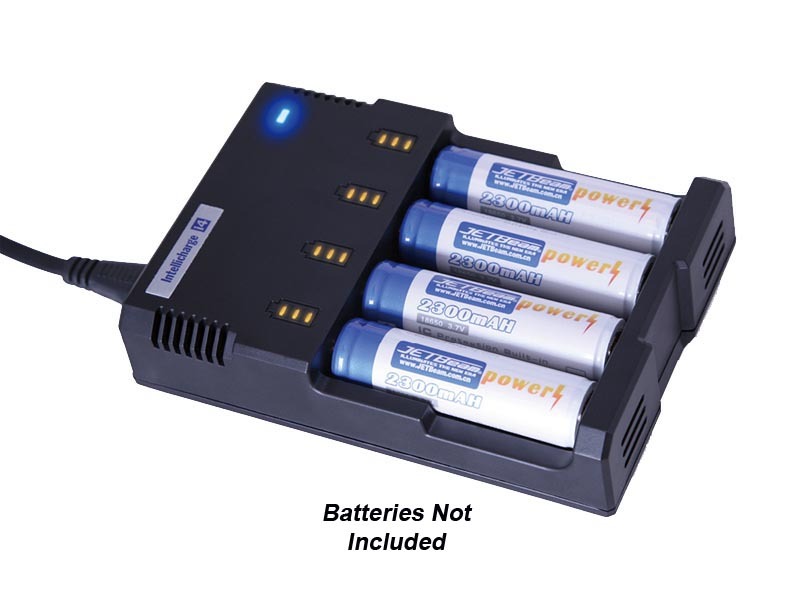 Uses one single 18650 or two CR123A batteries (batteries not included). In Turbo Mode (2 x CR123A batteries): 658 Lumens (68 min). 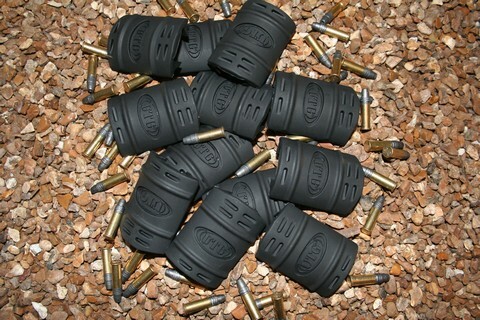 Accessories: tactical ring, holster, O-ring, rubber cap, lanyard. 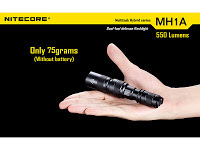 Introducing the Nitecore MH (Multi-Task Hybrid) and MT (Multi-Task) series of lights. 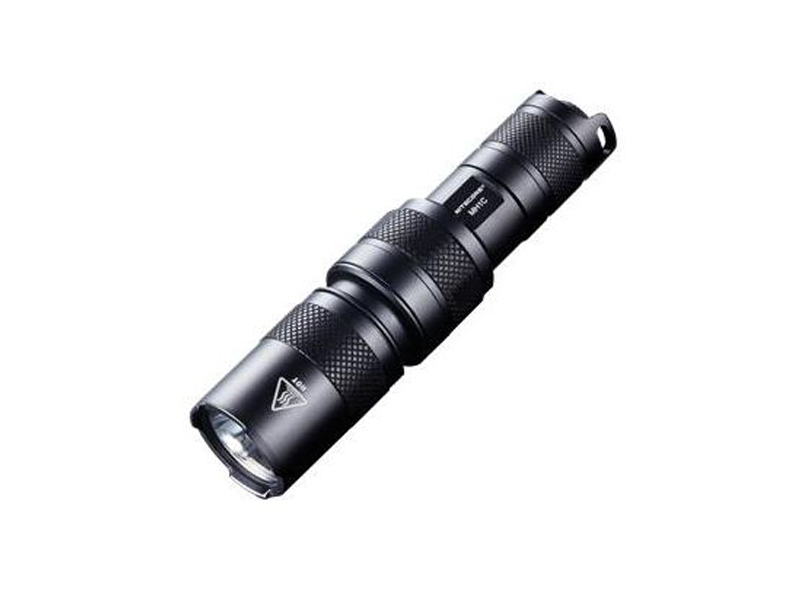 550 Lumens can be generated from this light, while up to 10 hours of runtime can be achieved in the 22 lumen low mode. Includes: Nitecore RCR123A Li-ion battery(NL166), lanyard, USB cable, clip, holster, spare switch cap, and spare O-ring. I have been carrying this light for about 2 months now and don't know HOW I got along without it, no battery change yet. I have always had a flashlight with me over the years. I thought it was quite good. Once I started carrying this EDC(every day carry) light, it has been like a gift from above. I can use the low setting to read menus and more. That is something those of the senior persuasion can appreciate more than the less senior folks. 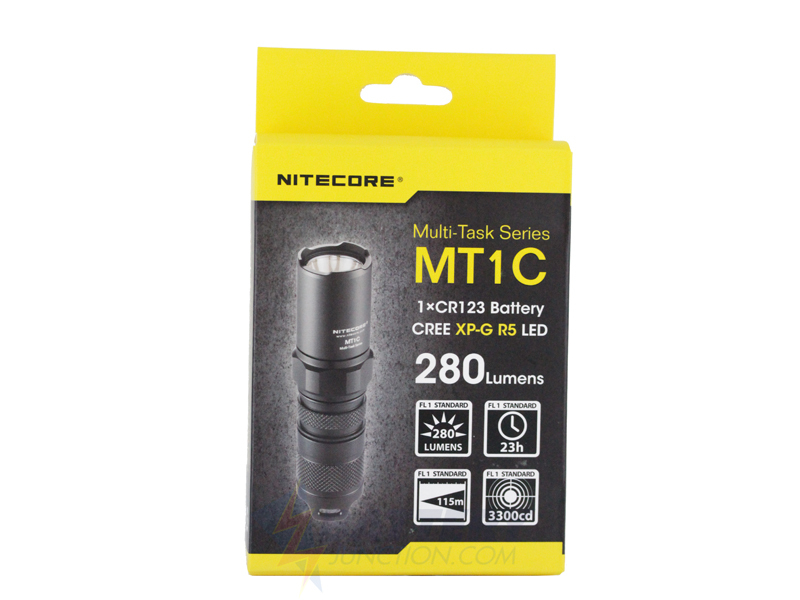 Nitecore's MT1C is fully customizable with two preset modes that offer multiple combinations of levels and modes for true versatility. Turbo mode is selected by keeping the head fully tightened. While in Turbo, the light will output its maximum brightness of 280 lumens with a momentary action the tailcap switch (use a half press for momentary on, or a full click for constant on). With the head loosened about a half a turn, the light goes into the user defined mode. Switching the light on and off cycles through the different outputs: High, Medium, Low, SOS, and Strobe. The last output level you select (after leaving the light off for more than 2 seconds) will remain when the light is turned on. At any time, tightening the head will put the light back into Turbo mode. 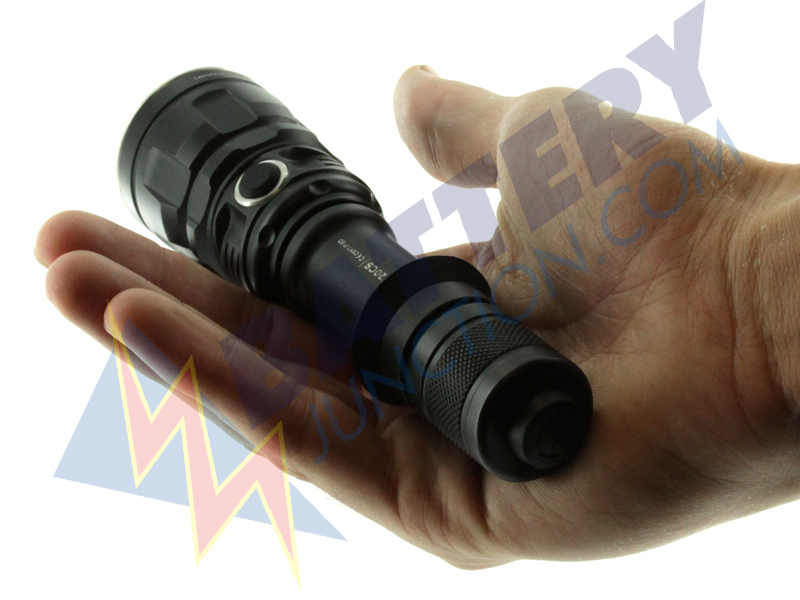 The MT1C uses 1 CR123 sized battery and is water and impact resistant. Other features include an anti-rolling design, detachable two-way anti-rolling clip, purpose-made rhombic knurling for better grip. Accessories include lanyard, spare O-ring. 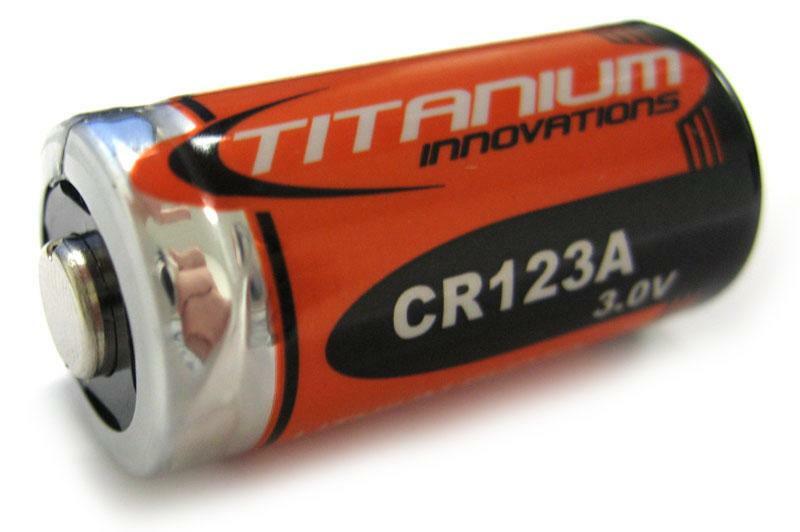 This is the world famous TITANIUM CR123A LITHIUM BATTERY. 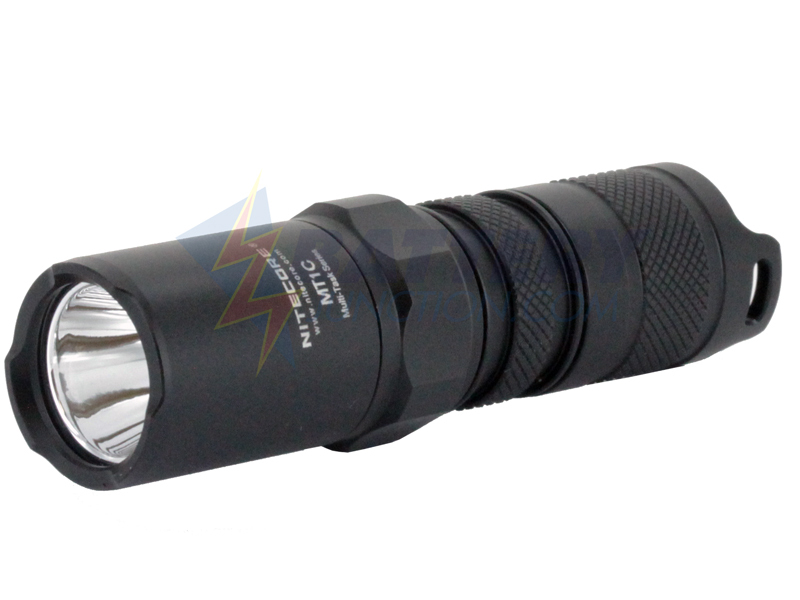 The high capacity Titanium CR123A is designed to deliver long run times in every device that it powers whether it is an LED or incandescent flashlight, a camera, or a high tech gadget. Independent tests have shown Titanium CR123A batteries excel in higher drain devices and often outperform the 'big name' cells in those types of devices. 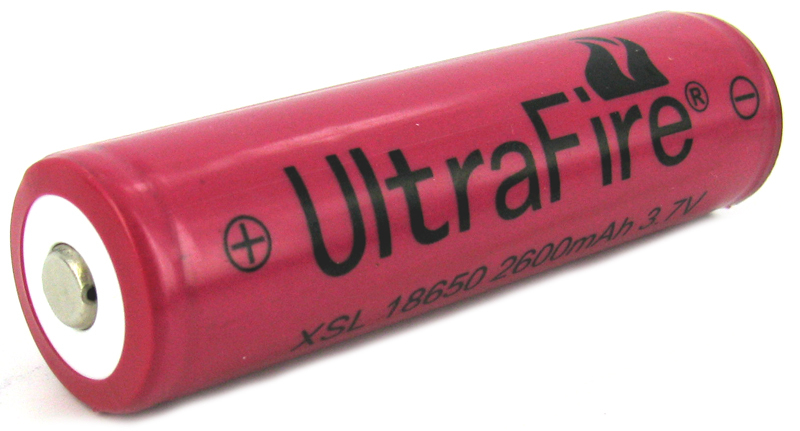 The Ultrafire 18650 2600mah Protected cell features a button top making it particularly compatible with many flashlight applications. Rechargeable Lithium batteries are rapidly becoming a very economical way to lower the operating costs of Lithium-Powered flashlights. A number of different options meet any rechargeable needs. These are Protected batteries. And when your 18650 finally run down, time to recharge and this is the answer. Yes, they are higher end priced but read what they do and you may agree they are the best out there. 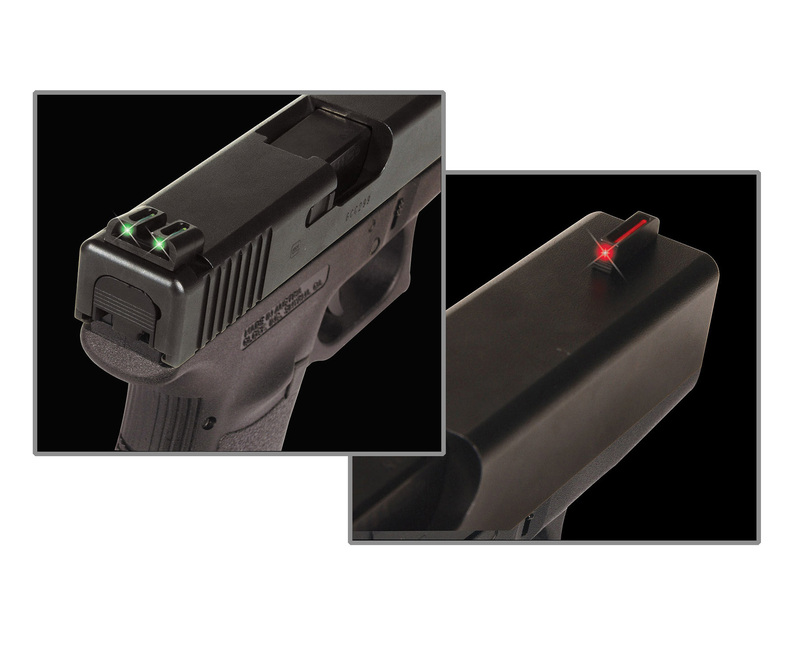 I have used these on my Glocks for years and they are the BRIGHTEST fibre optic sights I have ever used. 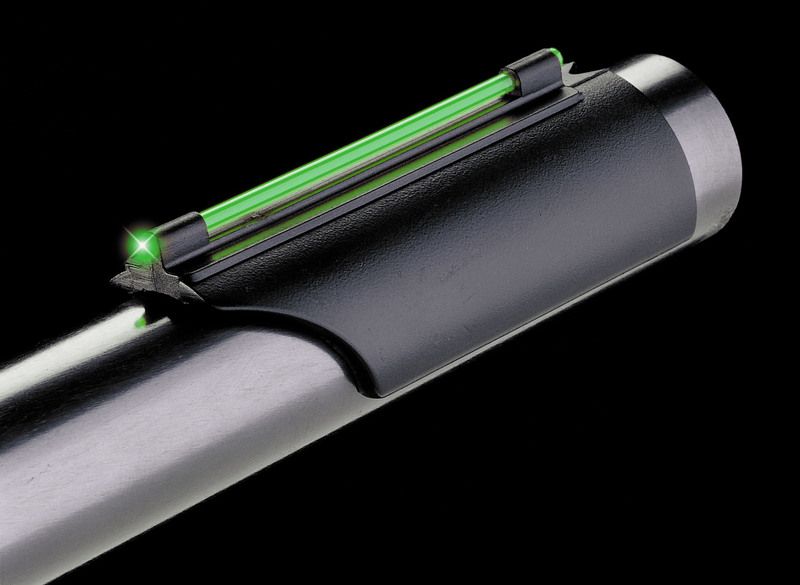 They have longer fibre pieces in the back sight and that super design concept is carried over to the front sight too. If your eyes have "matured" (a kind word for gotten old), then these are for you. And for the "youngsters" (under 50), these sights dramatically improve your sight alignment and the following sight picture. For those moving into Classic Division in IPSC, these, along with other new items, will give you the edge you are seeking. 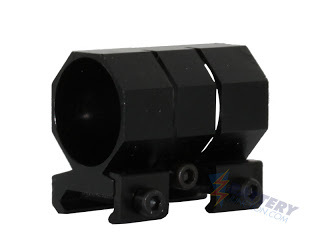 Universal Fiber optic Shotgun sight for Remington 870, Winchester, Mossberg, etc. For those shooting 2-Gun matches or just looking for an easy to pickup front sight on your shotgun, these ARE the answer. Available in red or green optic. 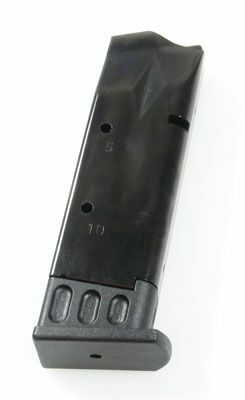 Anyone needing quick front sight acquisition whether for competition or bear protection or...whatever, this front sight does that dramatically. Murray, everything arrived A-OK. Thank you very much. Your service is excellent. Parts for the SR-22 fit exactly as advertised. Murray, great shopping experience! I've added you to my "favorites."